Avoid mashed potatoes with skins, chives, sharp cheeses, garlic or anything else that could affect the texture or flavor of your cake. If your mashed potatoes are too runny, you may need to add in up to 1/8 cup of all-purpose flour to the batter. It’s OK to use mashed potatoes with any combination of the following ingredients: salt, butter, margarine, sour cream, milk, heavy cream, half and half, evaporated milk. A little pepper is OK. In a small bowl, whisk together flour, cocoa, baking powder and salt. Set aside. In a large bowl, cream the butter and sugar together. Then, add eggs and mashed potatoes. Whip until fluffy. Next, add the flour mixture in several batches to the egg/potato mixture, alternately with milk. Note: Your batter will be really thick. Fill muffin tins 3/4 full using a small cookie scoop. Bake for 15-20 minutes (for standard cupcakes) or about 10-12 minutes (for mini cuppies), or until the a toothpick comes out clean, or the cake springs back when touched. 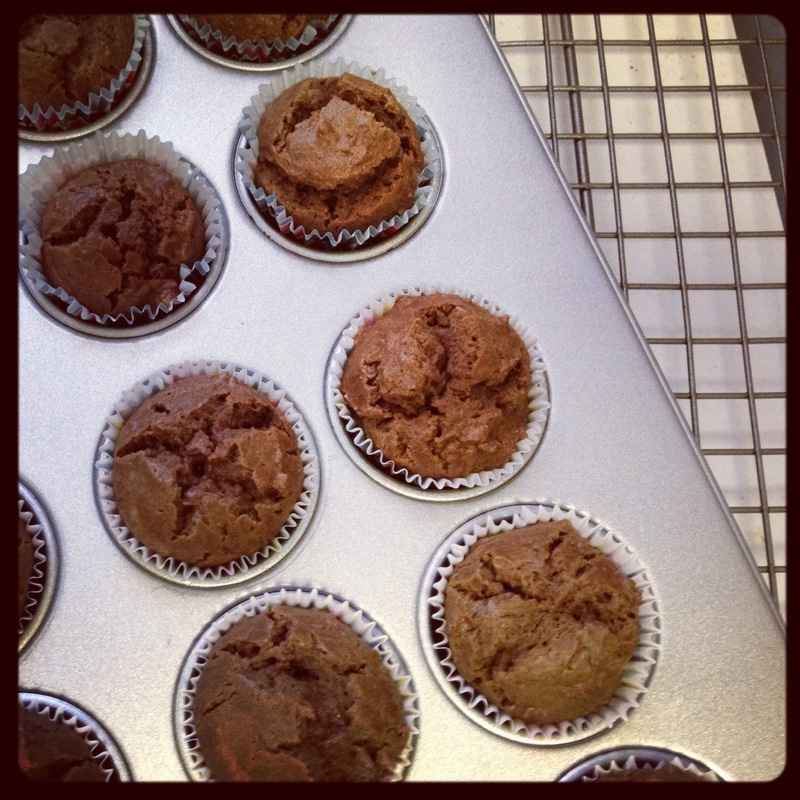 Let cupcakes cool for about two minutes in the tin, then remove to a cooling rack to cool completely before frosting. Cream the butter in a medium bowl. Then, add the cocoa, powdered sugar and vanilla, alternating with the milk. Whip until light and fluffy, and the frosting is the consistency that you desire. You may need to add some more milk or some additional sugar, depending on how thick you’d like it. Transfer to a piping bag with the tip of your choice. Pour 3/4 cup of the semisweet chocolate chips in a small microwaveable bowl. Microwave at 30 second intervals until half of the chocolate is melted and the bowl is warm. Stir very well after each interval. Add remaining 1/4 cup of chocolate chips. Heat at 10-second intervals until fully melted. Stir between each interval. 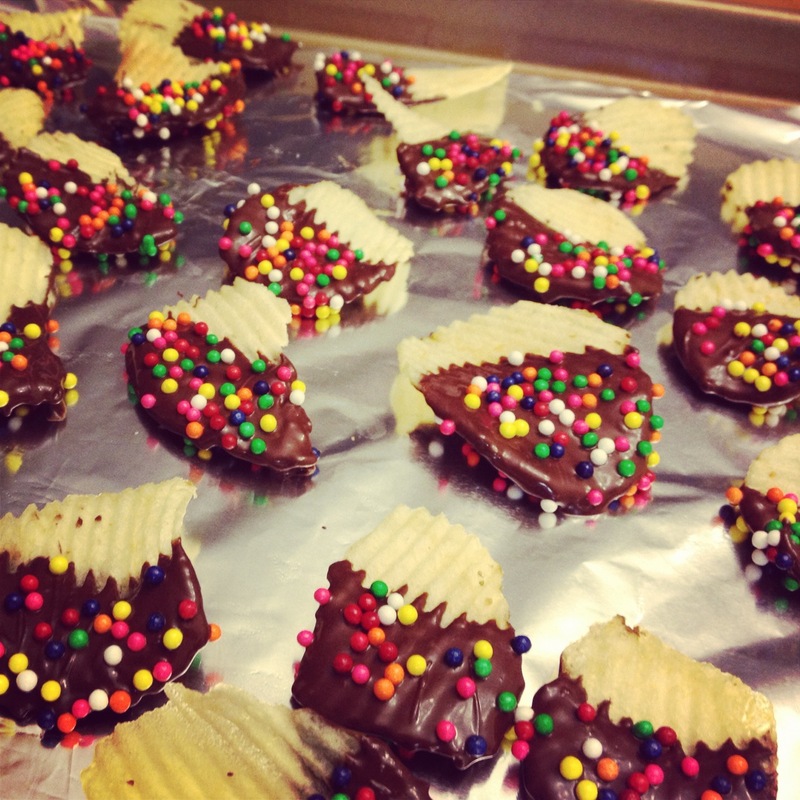 Dip potato chips in chocolate and shake off the extra chocolate. Then, sprinkle with the nonpareils and place on a piece of parchment or wax paper. Place in fridge to completely set and harden. 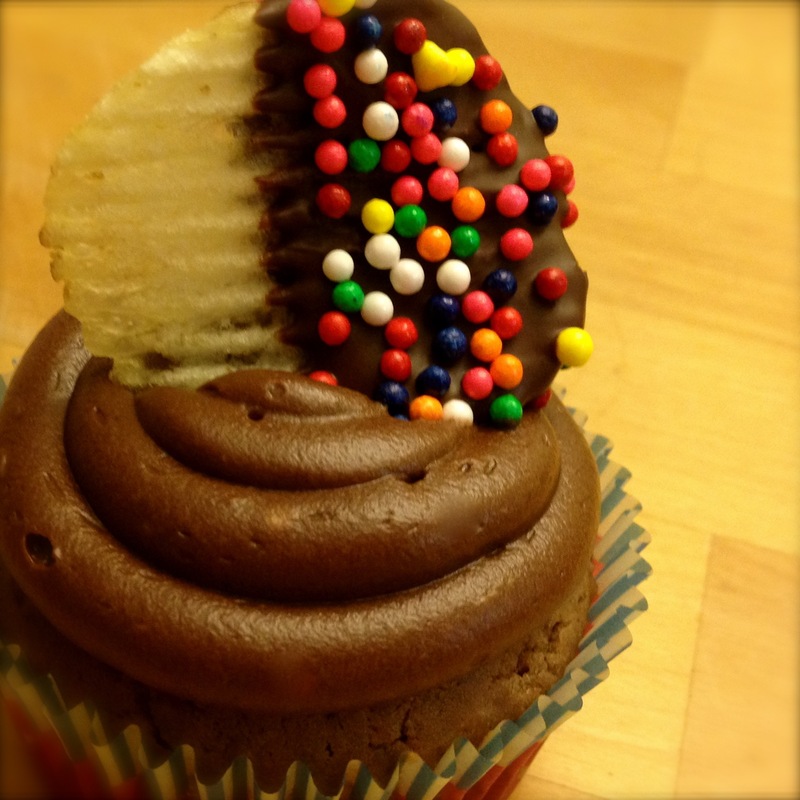 Finally, garnish frosted cupcakes with a chocolate-covered chip. Enjoy! And remember to come see me at Cupcake Camp Boston 2012 tomorrow night at the Armory in Somerville! P.S. 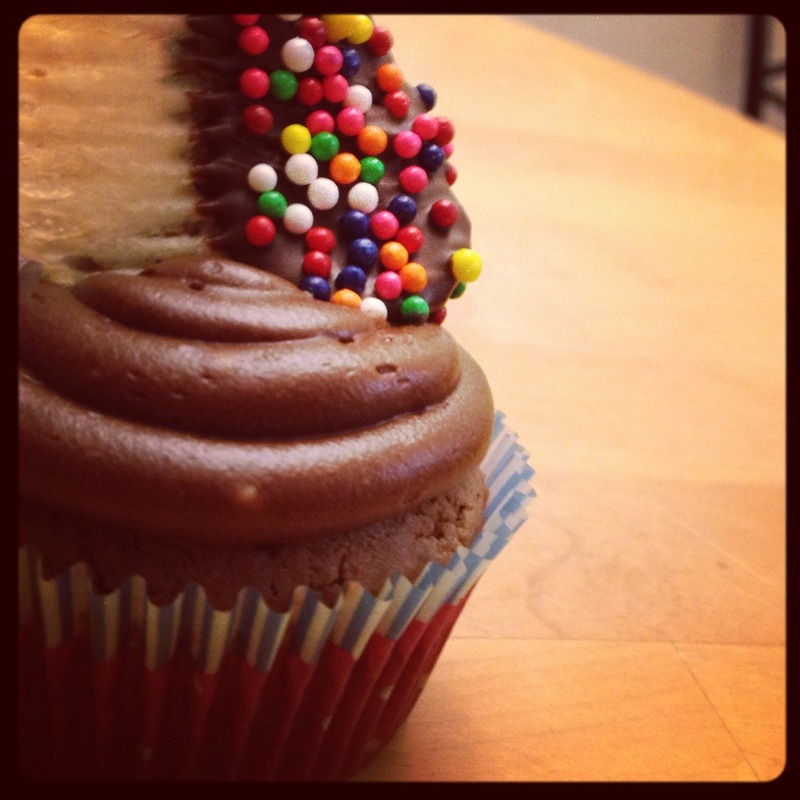 You can see my Q&A with the Cupcake Camp team here. This entry was posted in Cuisine - Desserts, Places - Boston, Recipes and tagged 2012, chocolate, Cupcake Cake Boston, cupcakes, mashed potatoes, recipes, Sprinkles Bakes by Christina. Bookmark the permalink. What a clever idea! Definitely going to have to try these!